United Ministries: Emmaus House hasn't added a story. My name is Ariana Berksteiner and I am the Executive Director of United Ministries of Savannah: Emmaus House soup kitchen. Emmaus House has been in operation for over 34 years. 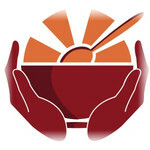 It began as a collaborative effort between churches as a way to combat the plight of hunger downtown. Now we are serving an average of 200 meals each weekday morning as well as providing laundry and shower services to the homeless and needy. We are in constant need of help. One plate costs about $3.50, and we are seeing more and more people come through our doors. Demand is rising and income remains the same. Please consider donating to our efforts to end hunger! United Ministries: Emmaus House hasn't posted any updates yet. United Ministries: Emmaus House is managing the funds for this campaign.